Sunset Boulevard released in 1950 by Paramount Pictures is widely acclaimed as one of the greatest American films in history. Gloria Swanson is outstanding in the lead role of Norma Desmond, a star of the silent screen who clings to that past and lives in denial of a changed world and her lack of significance in 1950s Hollywood. She represents the primary message of the story, which is the over-the-top and false nature of Hollywood. William Holden is equally as good in his role as Joe Gillis. The movie opens with Gillis dead, face down in Norma Desmond’s pool. He narrates the film in a flashback that takes us from their accidental meeting to his death. Six months prior to his death, Gillis was a disillusioned screenplay writer at the end of his financial rope and in danger of losing both his apartment and his car. He ends up in Desmond’s empty garage in an effort to escape two men sent to repossess his car. His first encounter with Norma Desmond is both creepy and humorous. She and her butler mistake him for the undertaker they sent for to come collect her dead pet monkey. She tells him she laid him in front of the fire when he died because he used to love to poke the fire. The monkey is used to foreshadow several things in the movie. Gillis comes to enjoy “poking the fire” Desmond creates in his life. He hates her but can’t leave her and often “pokes” at her. When Gillis wakes the following morning, he says he had a dream about an organ grinder and a monkey. The monkey would dance, and people would throw money at it. In a sense, this is what happens in his relationship with Desmond. He works on a script for her, placates her by dancing with her, watching movies with her, and becoming her companion, in exchange for her paying off his debts, giving him a home, and buying him nice things. Gillis also falls for a much younger character, Betty Schaefer, who is the opposite of Desmond. Besides her youth, less than half the age of Desmond, she has no desire to be in front of the camera but rather prefers being behind it. Norma Desmond is big. Her presence fills the screen in an unforgettable performance. I highly recommend this movie for people of any age. It has certainly been a wonderful year for film, which makes it hard for me to pick only ten top movies. We have gone from amazing epic superhero blockbusters to intimate indie character studies and it has been a wild, whirlwind ride; I have discovered more new movies than ever before. In trying to formulate my top ten list I thought about the films that had the most impact on me over the course of the year. So, there ended up being a few selections that may not make everybody’s top ten list, but they are on mine because they are moving pictures that profoundly resonated with me. I am going by U.S. release only, and may update this list in the future as some other films open wider. For now, let’s kick off with some honorable mentions and then consider my favorite movies of 2014! This deliciously lurid crime thriller from director David Fincher was a fun and entertaining look at our current celebrity tabloid culture. Wonderful performances throughout, and a truly shocking twist that add up to one of the best films of the year. Jake Gyllenhaal’s incredible performance helped to fuel this news and crime tale set in Los Angeles. He was absolutely mesmerizing in the role, and most likely my choice for best actor of the year. But I felt the movie didn’t fully come together in the end. “The Babadook” is an incredibly visceral and intense film, fueled by a sensational performance by Essie Davis. A portrait of longing, sadness and addiction wrapped up as a psychological monster movie. The two performances at the heart of the film were crucial in delivering the right amount of tension to the excellent horror film. It all added up to one of the best movies of the year. The fact that I am a bonafide horror junkie has almost nothing to do with this spot on the list. It must likewise be noted that this is Jennifer Kent’s first film – she is certainly one to watch as this is an impressive debut! 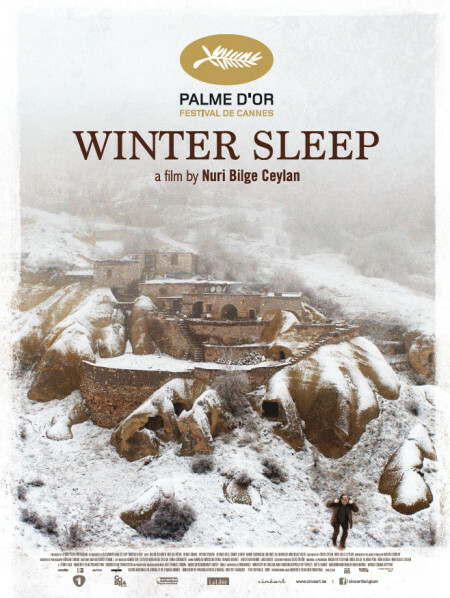 “Winter Sleep” was a late entry into my top ten, but one that certainly earns its place through incredible performances and direction. This film was an incredible introduction to Turkish film, as it was the first one I have ever seen. This is the story of a well-off former actor who now owns a hotel in the Anatolia region, as well as several properties around the small town nearby. It is an intense character study that slowly builds into a Bergmanesque depiction of a married couple and the troubles that supreme hubris and ego can cause in such a pairing. This film won the Palme d’Or at the Cannes film festival this year, and it is easy to see why. This is my first venture into the work of the vaunted Dardenne brothers of Belgian heritage. From what I gather, they offer a special mark of realism in their story telling and “Two Days, One Night” certainly lives up to that reputation. 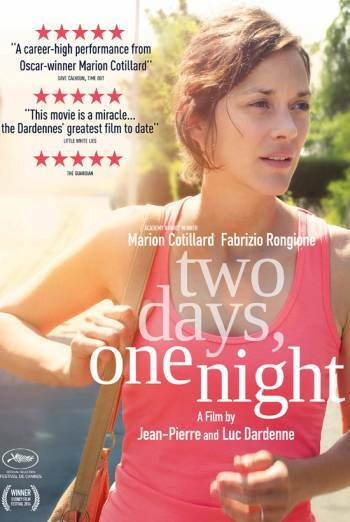 The film stars Marion Cotillard as a mother and wife in peril of losing her job at a solar light factory. Despite the familiar trappings of the narrative, it plays out unlike any story like this has before. A breathless whirlwind ensues as Cotillard travels throughout her town trying to convince her colleagues to vote for her to keep her job. The film features one of my favorite female performances of the year and is truly a pleasure to watch. The Japanese based Studio Ghibli has produced some of the finest pieces of animation during the past 30 years. In my opinion, nobody can match them in terms of quality – not even Pixar or Disney. Their master director, Hayao Miyazaki, has continually impressed me with his amazing films throughout the years (That is why it saddened many people to hear that he was going to be retiring from directing). I was concerned his departure would cause Ghibli’s output to suffer, but “The Tale of Princess Kaguya” completely squashed any fears. This awe-inspiring and wonderful film has truly captivated my heart and mind. An imminently beautiful story, drawn and voiced with the utmost of care has become not only my favorite work of animation but also one of my favorite films of the year. As bold, poetic love letter to the classic science fiction films of the past, Christopher Nolan has done something incredible with this film. “Interstellar” deals with gigantic ideas such as our place in the cosmos, while also contemplating what human life means when our planet cannot sustain us anymore. This highly debated and criticized film has incited intense feelings of passion and hatred. I felt that it was an unbelievable experience that I didn’t think Nolan was capable of, as he transcended all of my expectations with this epic sci-fi tale. Even with the gigantic scope involved throughout, he nonetheless manages to find the heart that he has searched for his entire career. Even with the immense scale of the film, I believe this to be Nolan’s most intimate work. As many of you may or may not know, I am a bonafide Wes Anderson junkie, and his creative tear starting with 1998’s “Rushmore” continues to this day. While there have been a few stumbles along the way, Anderson has stayed remarkably consistent throughout the years and this marvelous story of a flamboyant hotel manager and his protegé lobby boy certainly ranks among one of his very best films. “The Grand Budapest Hotel” is an admittedly adult feature film from Anderson, and features some of his finest set pieces and dialogue. I simply adored this film. I also don’t think I’ve seen Ralph Fiennes in better form than I have in this film, I sincerely hope he receives some accolades when awards season comes rolling around. “Under the Skin” takes the award for biggest mind-blowing event of the year, even more so than “Interstellar.” The film works almost like a hidden camera horror art film for most of the running time. Scarlett Johansson stars as an alien seductress, roaming and stalking the Scottish mainland looking for prey, and she has never been better as an actress. 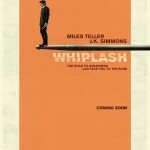 It is a supremely challenging film, that will no doubt reward many repeat viewings. As I stated in my opening, I wanted to pick films that had an impact on me, whether emotionally, viscerally or physically and “Under the Skin” hit all three of these criteria. I have simply not had an experience watching a film like this in some time, and certainly not since one of the masters was still at work (Kubrick, Tarkovsky, Bergman etc.). If you have not experienced this film yet, I recommend you see it as soon as possible, but don’t expect an easy film that provides you with all the solutions. You can expect to be confused, possibly frightened and perhaps, for some of you, even enlightened by this astounding work of art. There is a lot to be said about the idea of suffering in the pursuit of art and “Whiplash” embraces this mantra wholeheartedly. 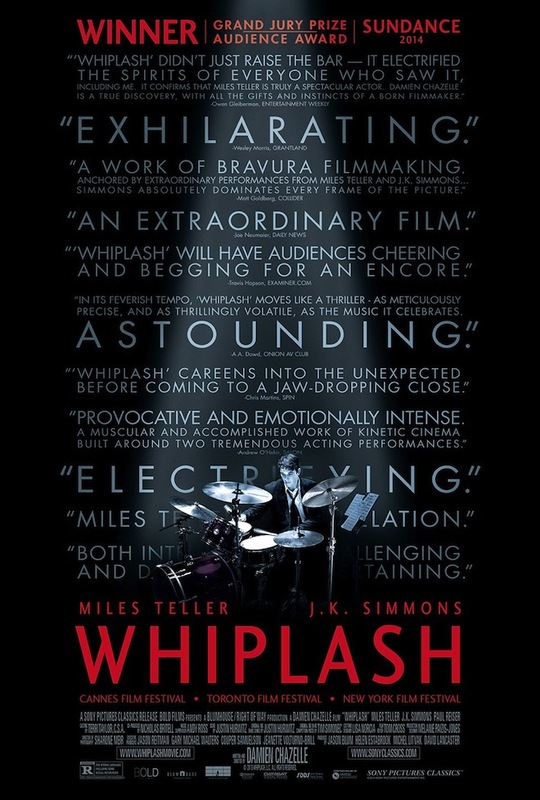 “Whiplash” is an incredible ride through one young man’s journey through self-imposed hell as he strives to become the best drummer he can be. Miles Teller portrays the young drummer in what can only be described as a breakthrough role for the actor. On the other hand, there is J.K. Simmons as the sadistic music teacher, attempting to discover the next great jazz player, by any means necessary. The interaction and tension between the two actors is nothing short of revelatory as we build to a truly stunning third act finale, which might possibly be my favorite ending to any film this year. The fact that I’m still thinking about it intensely over a month after seeing the film is indicative of the quality in which this film has been conceived and executed. Brilliant all around! 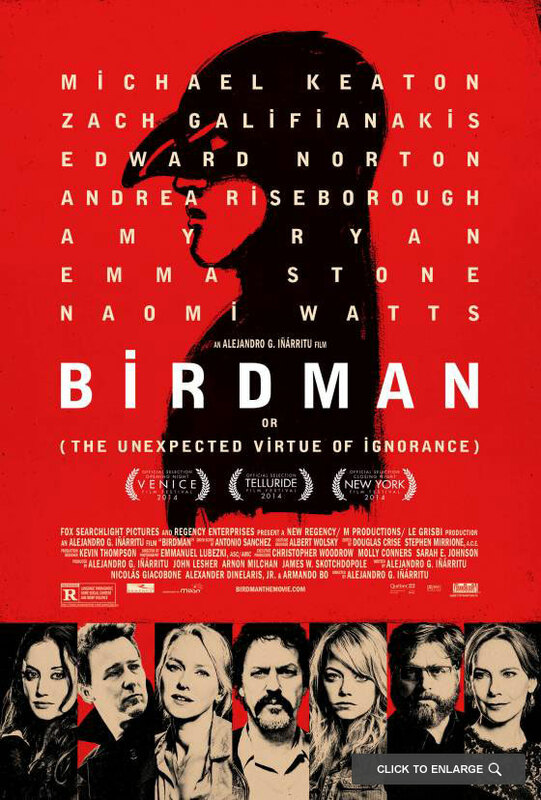 “Birdman or (The Unexpected Virtue of Ignorance)” is a fantastic film chronicling an aging actor’s quest for artistic relevance while trying to escape from the shadow of his former superhero persona. Michael Keaton stars as the writer, director and star of his very own Broadway stage production. The film chronicles the events leading up to the opening night of the show and is a mad dash through backstage revelry and crazed personalities butting heads and clashing together. One of the most frenetically insane films of the year, “Birdman” is a suspenseful race through the insanity of putting on a stage show, but with a possibly crazy and certainly delusion and hallucinating man at the helm. Despite sounding like an abomination, the film ends up becoming one of the funniest and most endearingly dark comedies of the year. This is absolutely aided by incredible camera-work and direction, as everything in the film appears to be one fluid take. Couple that with some of the best performances of the year, and an insane drum-based soundtrack, and you have a recipe for one of the most eccentric, but ultimately satisfying film in years! This had to be number one. No other film in 2014 captured the essence of what cinema is capable better than “Boyhood.” The film is a staggering work of artistry and one of the finest examples of American cinema that I have ever seen. It is a simple yet powerful tale about a boy named Mason who grows up during 1st through 12th grade. This has been my favorite film of 2014 since I saw it during the summer, and it has never really been challenged for its number one spot in my mind. Despite the challenges in filming for 12 years, it is an incredible film experience and amazing that it even exists. “Boyhood” has become a genuine phenomenon in how highly it has been received, which I don’t think is unwarranted. I would not be surprised to see this film take top honors at the Oscars. 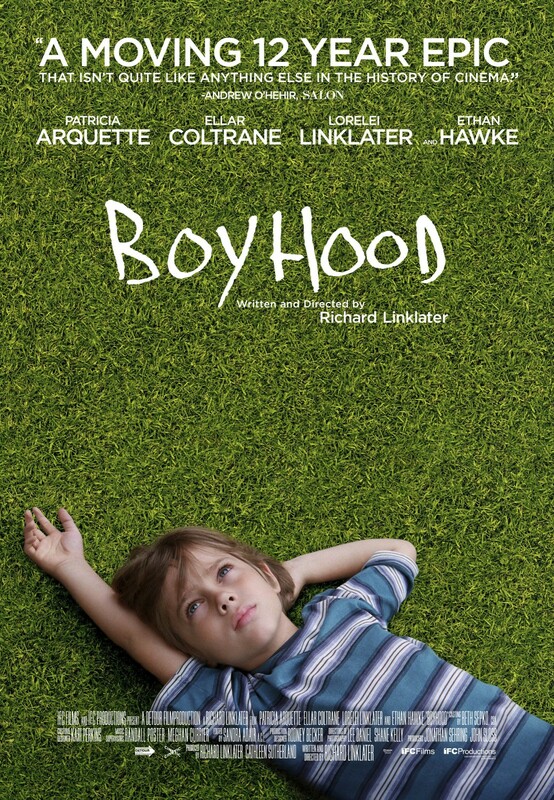 “Boyhood” is not only my favorite film of the year, but one of my favorites of all time. If you only see one film in 2014 make it this one. I hope that you all enjoyed looking at my top ten films of the year! You might have noticed a severe lack of blockbusters on this list, and this wasn’t by design, as I did enjoy a number of them over the course of the year. I am thinking I would like to put up a list of my favorites from that segment of movies as well, so keep an eye out for that before the end of the year. Otherwise, thanks for keeping up with Life in Cinema, it has been a fun and exciting journey for me this year as I’ve experienced so many new films.